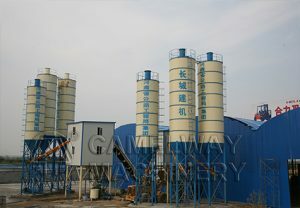 Due to the different technical level of the concrete mixing plant equipment manufacturers, the production of raw materials used are also very different, so the same model of the mixing plant equipment manufacturers have different quotes, it is recommended not to obey the quote blindly, to understand the product quality on the ground and to the factory site Investigation is the king. As a professional mixer plant equipment manufacturer Camelway can calculate the overall equipment price of the mixing plant according to your specific requirements and configuration. Camelway HZS75/2HZS75 medium-sized commercial concrete mixing plant uses German technology twin-shaft forced concrete mixer. 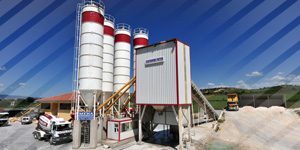 The concrete mixing plant is a world-class brand supplier of load cells, high-performance pneumatic components, accurate measurement, and quick response. The batching machine of the Camelway HZS75 concrete batching plant can weigh up to 4 types of aggregates at the same time. The metering time is short and the efficiency is high. The microcomputer control system of the mixing plant is intelligent, the operation is simple, and the interface is user-friendly. 1. The theoretical productivity of Camelway HZS75 concrete mixing plant is 75 square meters per hour, and the discharge height is 3.8 meters. The storage hopper volume is 8 cubic meters/bin, and the supporting host is JS1500 compulsory twin-shaft mixer. 2.HZS75 concrete mixing plant has a small amount of investment funds, occupying a small space, less power equipment, easy maintenance of equipment, high-performance independent control room, making equipment control more convenient and safe, efficient production of high-quality concrete. 3.HZS75 concrete mixing plant adopts highly reliable stirring equipment. It adopts the method of hoisting the hopper to raise the hopper. 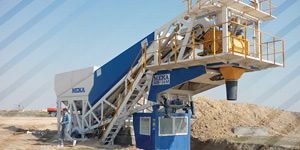 The unique design of the hopper and track makes it convenient and efficient to hold and pour into the aggregate. Compared with the conventional inclined belt conveyor feeding plant, it can save up to one-third to two-thirds of the floor area. 4. The equipment body of HZS75 type concrete mixing plant is installed on the steel frame, which not only facilitates the overall transportation of the equipment, but also can be used as a part of the foundation to minimize the basic engineering and facilitate the equipment monitoring and maintenance. 5. 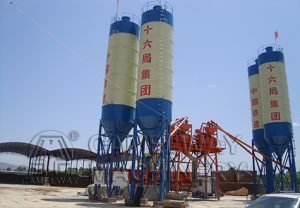 The installation time of Camelway HZS75 concrete mixing plant is short. In general, installation only takes two to four days to complete the preparation before production. Many users want to get a new concrete batching plant price list from the concrete batching plant manufacturers before buying. In fact, the concrete batching plant price list is only a price range, and the concrete batching plant’s specific price is affected by many factors. 1. The prices of the concrete batching plants produced by different manufacturers will vary even if they are the same model. The powerful and well-known manufacturers have very mature equipment configuration, advanced manufacturing technology and perfect after-sales service system. 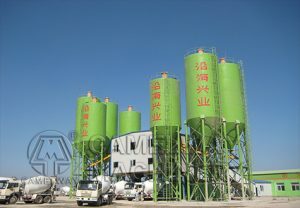 Relatively speaking, the price of concrete mixing plants produced is relatively high. 3. The price of steel is an important factor affecting the price of concrete batching plants. Steel is the skeleton of the concrete batching plant, especially the special steel used in the wear-resistant and corrosion-resistant mixer, which directly determines the price of the batching plant. A set of 90% of the batching plant is the weight of the steel. A small increase in the price of the steel will affect the factory price. 4. Consider labor costs and market factors. With rising prices, labor costs increase year by year. Changes in labor costs will cause the price of concrete batching plants to fluctuate. In addition, changes in market demand will also affect the price of concrete mixing plants. When purchasing a concrete mixing plant, it is necessary to first understand the above price influencing factors, then communicate your specific needs with the manufacturer, determine the model configuration of the concrete mixing plant, and then make a quotation. The specific price is based on the contract price agreed by both parties. Camelway Machinery concrete batching plant model complete, equipment performance is good, welcome new and old customers at any time call, we will provide you with new concrete batching plant price information, to help you buy the right equipment for yourself!